Many runners use anti-inflammatory medications (ibuprofen or Motrin, also known as NSAIDs) before, during, and after running to stave off pain. I personally have had mixed results using these medications while running, and do remember quite vividly having intense back pain after Squaw Peak 50 mile race in June of 2001 where I used ibuprofen throughout the race. 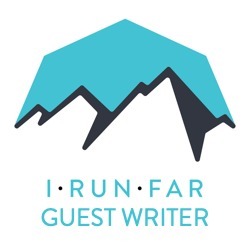 I didn’t use ibuprofen much during runs after that, and after seeing what happened to Erik Skaggs at Where’s Waldo 100k last year, I decided to dig a little deeper into the subject and do some research. It’s a tough subject to gather information on because not a lot of medical research has been focused in this area. Most medical research focuses on “already sick” people and not healthy athletes. There is one specific event, however, where quite a lot of research material was put together from information gathered at Western States 100 in 2005. Three journal articles were written using the data gathered at Western States 100 mile endurance run. In the studies analyzed, both male and female athletes were selected (54 total athletes): 29 were placed in the ibuprofen group, while 25 were placed in the control (non-ibuprofen) group. Blood and urine samples were collected from participants in both groups before and after the race. In the ibuprofen group, participants ingested 600mg day before race, and 1200mg (divided into doses of 200mg every 4 hours) on race day. In a study by Steven McAunulty, et al., the authors looked at how oxidative stress on the body was influenced by ibuprofen use. Oxidative stress, for clarification, is the inability to detoxify and repair damage to body systems done by the production of free radicals and peroxides. Free radicals and peroxides can cause direct damage to cells and can disrupt normal energy production within cells. When overly abundant, they can cause cell death. How does this happen and what does it mean? Kidney cells may be damaged and altered during and ultramarathon as a result of ibuprofen use. There has been previous research that has shown that ibuprofen increases blood flow to the stomach and small intestine and thereby increases leakage of toxins into the bloodstream, increasing oxidative stress. Ultrarunning magnifies this effect. Post-race blood levels of measured inflammatory markers (F2-isoprostanes) were elevated by 37% above normal in the ibuprofen group, compared to 20% elevation in the non-ibuprofen group. These same markers, when measured in post-race urine, were increased by 138% in the ibuprofen users, and unchanged in non-users. This is statistically significant data that shows ibuprofen was increasing stress on body. David Nieman, et al. used the same study subjects and samples to analyze a different set of inflammatory markers. I think the most interesting thing that he did was to also set up a subjective pain-rating score for the athletes to use. The 10-point Likert scale for measuring delayed onset muscle soreness (DOMS) was used for the seven days following race completion. Statistically significant was the following study conclusion, “Ibuprofen use compared to non-use by athletes competing in a 160-km race did not alter muscle damage or soreness, and was related to elevated indicators of endotoxemia and inflammation.” The measured damage was seen in decreased capability of the kidneys to filter toxins properly (by measuring decreased urine creatinine, a typical test used to measure kidney function), and higher levels of blood inflammatory markers (interleukins, cytokines, and c-reactive protein: all indicators of inflammation and pain). Charles L. Dumke, et al. likewise analyzed information gathered from Western States 2005. Previous data collected in other studies measured significant electrolyte disturbances while running and using ibuprofen. Dumke dispelled this information. Ibuprofen use did not, in and of itself, alter blood concentrations of key electrolytes such as sodium, potassium, chloride, or calcium, nor did it affect blood proteins. An interesting trend was discovered, however: longer running times, lower training volumes, and older runner age all correlated with lower sodium concentrations (hyponatremia) at the finish line, suggesting that the longer you are out there and the older you are, the more important it is to pay attention to electrolyte replacement. The studies results in a lot of daunting scientific speak. I did my best to pare it down to an understandable discussion. I think there is some really valuable information to be gained from these articles, and I look forward to more studies being conducted in the future. Probably the most important point that is not discussed in these journal articles is the fact of listening to our bodies, and doing what we feel is right for them. As tough as we may be as ultrarunners, it is always good to hold a healthy dose of respect for the fragility of the human body. What has worked for us in the past may not work for us in the future, and something that we have never used before may just be the magic ticket to get us through our next race. Missy Berkel is a Nurse Practitioner from Salt Lake City, Utah and has been running ultras since 1998. She is running the Wasatch 100 in September. McAnulty, et al. (2007). Ibuprofen use during extreme exercise: effects on oxidative stress and PGE2. Medicine and Science in Sports and Exercise (39)7. Nieman, et al. (2006). Ibuprofen use, endotoxemia, inflammation, and plasma cytokines during ultramarathon competition. Brain, Behavior, and Immunity 20. Dumke, et al. (2007). Ibuprofen does not affect serum electrolyte concentrations after an ultradistance run. British Journal of Sports Medicine 41. Great post. You imply that Skaggs' renal failure was caused by ibuprofen use. Is that the case? it is not known exactly what caused his renal failure, but i have to tell you, it made me very curious whether he was using it or not. Erik Skaggs, 27, spent six days in local hospitals recovering from acute renal failure, apparently caused by a combination of dehydration and taking ibuprofen after a demanding race. Great synopsis of the research on ibuprofen damage in ultras! This should make all of us think twice before using ibuprofen during long runs. There are however some significant gaps in the research: Western is renowned for its heat. Would researchers get the same kind of data at cooler races (e.g. Bear 100, Leadville 100)? Also how much of the oxidative damage is from ibuprofen itself and how much might be because runners can push harder when using a pain killer? These are important questions to sort out, especially since ibuprofen has been used successfully to treat inflammation for so many years. if you would like more information, i suggest you read the articles from which my story is based. oxidative stress happens in everyone who runs. the ibuprofen group had statistically significant differences in circulating amounts of inflammatory markers than the non-ibuprofen group. both groups had similar finish times, so it does not look like the ibuprofen group was "pushing harder". Good review of the research with one major exception. No mention and possibly no analysis of the research methodologies applied. My gut is that these efforts lacked a control group. I could be wrong. However, they sure do not look like double blind approaches which are the sound means for obtaining reliable results when it comes to pharmaceuticals. Without a fundamentally sound basis, the research is likely flawed, and thus, inferential findings are as well. The real irony here is we are missing common sense when it comes to ultra athletics. Given the numerous studies which show the adverse affects of the body from long distance running, what make one think repeated efforts are going to not have detrimental affects over the longer term for the majority. Most people realize that playing football well leads to playing more football and that leads to most successful football players (those who played collegiately or professionally) find themselves with significant joint deterioration as well as arthritis before they reach age 40. Real fun to have young kids and not be able to actively play with them. Yet, players continue to ignore the evidence and seek the enjoyment or personal/athletic accomplishment. My bet is that those of you who like to run multiple marathons and ultras will find your latter years challenged with hip, knee, ankle, back and/or feet issues. Use your head. Note: I said most, not all. There are not a lot of studies out there on ultras and ironmen athletes as this is a recent phenomena. However, we all know the body was designed to do a certain level of athletics and that we can push it with training and mental discipline…sometimes well beyond what is realistic and healthy especially over the longer term. Focus on being fit, not an extreme or ultra athlete, and see the quality of your health and LIFE be better. Otherwise, you will likely have a significant accomplishment to look at from the chair or as you hobble around in your latter years. Actually the research shows that runners are significantly better off in old age, with lower rates of osteoarthritis and half the chance of dying in a given year. it is true that runners have lower incidence of osteoarthritis than non-runners who tend to be overweight. this has been proven in many scientific studies. "…these efforts lacked a control group"
– The three journal articles utilized the same data set, and with regards to this, the introduction to THIS article states… "while 25 were placed in the control (non-ibuprofen) group." "However, we all know the body was designed to do a certain level of athletics"
there was a control group, as previously mentioned, and the race committee was opposed to and prevented the use of a double-blind study. Rubbish! The only thing I can agree with you is the simple fact that excess of any ONE thing is not a good thing. But the question when it comes to Ultras (or anything else for that matter), how much is too much? Who is your control group compared to being 'fit'? How much does genetics play in hip, knee, ankle, back, and/or feet issues? Are there any double blind studies to prove we (endurance athletes) will be hobbling around in our latter years? A 40 year old running around with two kids under 11.
there are plenty of studies that have shown that running actually lowers your incidence of osteoarthritis when compared with individuals who are obese. it is true, more work needs to be done to study ibuprofen and its effects (as i stated in the article), but the study results done at Western States is a good place to start, and it was scientifically based and not exactly "rubbish". No, no, no not the article Missy. The 'rubbish' is for 'another runner and avid researcher' and their views, talking out of both sides of their mouth. I think you wrote a brilliant article with very well done research. Sorry for the confusion. I used to take IB regularly before hard runs and races, thinking I was prolonging the feeling of pain. During this time I would regularly vomit after workouts. I attributed this to pushing myself to the limit. I was able to connect the vomiting to the IB use 3 years ago when I ran a very fast 5 mile race, followed by slightly slower 4 mile workout. I had taken 200mg of IB the morning of the race, after the second 4 miles ended I was violently ill, vomited, passed out in the parking lot and slept through the day. Originally I thought that I had food poisoning, though after retracing my steps I began to suspect the IB. A quick Google search found that runners across the country have been experiencing the same side effects. I haven't take IB once since and have yet to get sick after a race or workout. I am a consultant anaesthesiologist as well as an ultrarunner. I ran my first ultramarathon as a final year medical student and over the 50k race took 1600mg of ibuprofen. This race was the only time I had march haemoglobinuria- the actual destruction of red blood cells leading to bright red blood in the urine. I also experienced significant lower extremity oedema. I attributed the haemoglobinuria to the ibuprofen, but at the time did not link the oedema. On subsequent races, I decreased the amount of ibuprofen to 800mg over a 50mile race, but still had lower extremity oedema afterward. I then decided to stop taking ibuprofen and instead take acetaminophen (tylenol) during ultramarathons. Acetaminophen works centrally in the brain and does not have peripheral effects (ie renal effects). I no longer develop lower extremity oedema after races. I do find that acetaminophen will decrease my discomfort so that I am not as aware of being uncomfortable as opposed to ibuprofen which tended to work by decreasing muscle soreness. So yes, there is a distinction between what the two drugs achieve- acetaminophen decreases the perception of discomfort whilst ibuprofen decreases muscle soreness. How does ibuprofen cause renal failure or peripheral oedema? Ibuprofen is a non steroidal antiinflamatory (NSAID) drug. It works by decreasing production of substances that cause inflammation (that is the helpful side of it). However, the NSAID's also decrease production of substances that determine how much blood reaches the kidney (unhelpful side of it). During an ultra one becomes dehydrated and this leads to decreased volume of blood. Also, waste products are created at an increased rate. These two phenomena tell the kidney to produce substances to increase blood flow to it so that it can expel the waste products. Unfortunately, the ibuprofen decreases the production of this substance so the kidney cannot increase blood flow and take care of the toxins. This can lead to irreparable kidney failure (ie what happened to Skaggs- eg end stage renal disease). Also, during ultras our muscles undergo inflammation and this causes blood vessels to be slightly leaky so they lose fluid. Normally, our lymphatic system picks up this fluid and dumps it into blood vessels which then bring it to the kidney so that it can expel the extra fluid. Again, if we impair kidney function with ibuprofen the kidney cannot expel this extra fluid and lower extremity oedema occurs. Short summary: Ibuprofen is dangerous to the kidneys both during and after ultramarathons. I would recommend not using ibuprofen for at least five days after an ultra. Acetaminophen, tylenol, is safe and would recommend using it at a maximum of 4g/day around the ultra- ideally I would use less than 4g/day- say 2g/day. Acetaminophen can cause liver failure if taken in large quantities (>4g/day) and during an ultra the liver may be stressed so taking less than 4g/day seems like good advice. What do medical personnel/runners suggest ultrarunners use besides NSAIDs? What is safe to take during a 100 mile trail race? Thanks. i would agree with Dr. David (above) that taking Tylenol is a safer option, done within the limits of correct dosing as stated on the package label. Tylenol is not filtered through the kidneys as Ibuprofen is. It works centrally on the brain to shut off pain signals to the body, in contrast to Ibuprofen which works peripherally. Here's the question: Does motrin also cause swelling of the fingers, vice legs and feet, in long runs? I usually use puffy fingers that as a marker to increase salt intake. yeah, thanks FastED, i picked that up after i posted my reply. thank you for the compliment! my guess would be that yes, the ibu could be contributing to your swelling of the fingers. it is not selective in its effect of producing edema. you should still take in the electrolytes though. you'll have to let us know after your next long run! i'm glad you found this information helpful. Bob, the hand swelling could be caused by many things. Depending on how you hold your hands while you run, gravity and motrin could be causative. If you keep your hands pointed down while you run, extra fluid could build in your hands by gravity (just think about it, you normally do not hold your hands down for hours at a time, when you sleep for eight hours your hands are usually level). Likewise, taking motrin could also inhibit your kidneys from removing extra fluid and that extra fluid builds in your hands. So, I would try to keep your hands level while you run and avoid motrin. thanks for your valuable quantification of the drug mechanisms. naproxen is in the same drug class as ibuprofen–it is an NSAID. therefore it is metabolized and excreted from the body in the same way and can affect the kidneys. There are certainly a number of opinions out there. I am aKinesiologist, Endurance Athlete, Fascial Stretch Therapist and Strength and Conditioning Coach. Missy, I really appreciate the thought you put into this article. I am also grateful for all the discussion around this topic. If the pain is oxidative stress then the solution is figuring how to limit the oxidative stress during runs and how to repair it quickly after.Some of attribute the pain to lactic acid, though I am not sure if Ultramarathoners are running above their anaerobic threshold. Lactic Acid is no longer receiving the bad reputation it used to. Another theory for the muscle pain is electorlyte imbalance. These electrolytes are responsible for proper cellular function including muscle function. Though there seems to be controversy surrounding which one is most important to replenish. To answer this thoroughly would require more research. Perhaps I will answer some of this in a future posting. Could the pain levels becoming from the Fascia which have pain fibers in them? Did these studies measure Creatine Kinase and other markers known for muscle damage levels pre/post race? (I have yet to read the full studies). After a hiatus of several years I am back training. I am really enjoying the trail runs this year. I ran Seek the Peak in North Vancouver this year. to address electrolytes, i think the recent trend (which seems to be working) is to replenish/replace not only sodium and potassium but also magnesium and calcium. if you think about the body's physiology this makes a lot of sense. one of the studies did look at creatinine kinase (CK) and overall it was elevated, but there no statistically significant difference between ibu and non-ibu groups. Which two studies? I came across the electorlyte trend when I went to a talk in Vancouver with Brendan Brazier about 5 years ago. He was mentioning that Ultra marathoners were drinking enough water, yet still cramping. Why? It was an issue of electrolyte imbalance. I have also heard that sodium is the primary one to replenish. Though what I know about muscle metabolism we need to have sodium, potassium, magnesium and calcium in balance. What zone are heart rates in during Ultra Marathons? i looked at three studies that used information gathered at WS 100 in 2005. they are quoted in the article and referenced at the end. these studies did not find electrolyte imbalance differences between ibu and non-ibu groups, but that does not mean that electrolyte imbalance didn't happen as a whole. cramping can happen for two reasons–not enough electrolytes, or too many. it is a delicate balance. no mention of heart rates was made in the articles referenced. Electrolytes are much more complicated than people think. There is no 'one size fits all' solution—probably because humans are quite diverse in their expression of different ion transport systems (likely reflecting our evolution in at least 6 different geoclimes). A few runners benefit from lots of sodium, most runners need moderate amounts, and a lucky few need very little sodium supplementation. As Missy mentions, most supplements include potassium, magnesium, and calcium in addition to sodium. It's doubtful that supplementing potassium, magnesium, or calcium during an endurance event helps the event outcome very much, since levels of these electrolytes are mostly influenced by what you eat (and/or supplement) in the several days preceding an event or long endurance effort. Muscle deterioration in endurance events can be of at least two kinds: breakdown of actual muscle fibers from overuse, and lysis/breakdown of muscle mitochondria usually caused by pushing too hard with inadequate fueling. As you correctly note, it would really help if there were more research on this issue in endurance runners. These two types of breakdown have different bio-markers (creatine kinase is generally associated with muscle fiber breakdown), so it IS feasible to figure out what kind of deterioration is occuring under different conditions. "An interesting trend was discovered, however: longer running times, lower training volumes, and older runner age all correlated with lower sodium concentrations (hyponatremia) at the finish line, suggesting that the longer you are out there and the older you are, the more important it is to pay attention to electrolyte replacement." Interesting to see that, after the Waterlogged revelations. I’m a board certified foot and ankle surgeon. Just finished a 100 miler yesterday. The reason to take ibuprofen is for ” immediate pain relief ” not for pain relief after or before.. U will loose toe nails and it hurts bad.. The NSAIDs will make it immediately better and u don’t have to stop.. In the end, yes everyone is sore and hurts the same after..U have to be very careful to not take to much and stay hydrated. But it’s useful to relieve immediate pain.